Nothing is scarier than the truth. Especially when the truth reveals the most disturbing potentials of human behavior. 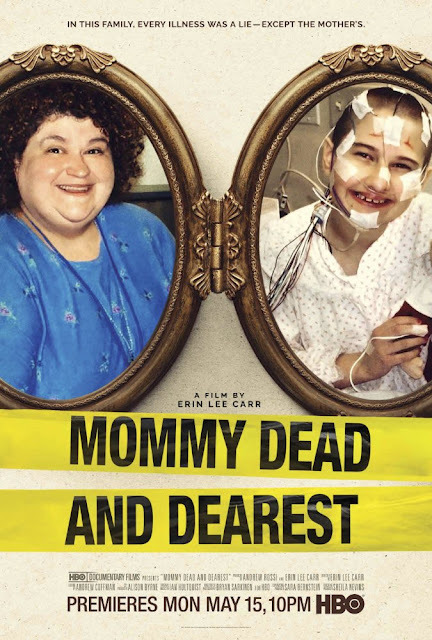 A new HBO documentary – toying with the Mommy Dearest title with deadpan irony – uncovers the bizarre and unfathomable relationship between Deedee Blanchard and her daughter Gypsy Rose. Billed as a true crime story – Gypsy’s involvement in the murder of her mother is no spoiler here – Erin Lee Carr’s film is at its core about the psychological trauma and arrested development of a young girl suppressed by unconscionable abuse. For those unfamiliar with the case, do not Google! There are only so many synonyms for bizarre, and reading a synopsis on Wikipedia or a local news article about this case will do a grave injustice not only for storytelling but for the film’s main subject: Gypsy herself. What can be revealed is that Gypsy did indeed orchestrate the murder of her mother, a daughter with (supposed) grave disabilities like cancer and the inability to walk. When friends and loved ones hear of the crime, their responses are not of shock but of confusion: How is Gypsy even physically capable of killing? Getting to the “why” is even more disconcerting. While the documentary slowly unravels the jaw-dropping details, its strengths are the interviews with family members, who exhibit a candor that is both funny and heartbreaking. Such a paradox stems from their view of Deedee, whose own backstory and relationship to others could not be written by the most talented of horror writers. 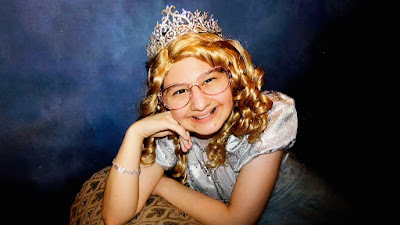 The interviews with Gypsy Rose are equally as compelling. It is hard to gauge if she has reconciled her 20+ years of torment, answering questions with trepidation and shame, only compounded by her high-pitched voice that reminds audiences of her mother’s desire to keep a blossoming woman in perpetual childhood. Rose is being interviewed as a prisoner, whose handcuffs are visible as she answers questions. Yet her current state as shackled prisoner is an odd relief for the viewers (arguably for her) compared to the horror of her upbringing. But if there is a saving grace to this nightmare, a reconciliation that could rewrite a psychologist’s playbook for future cases, it is the enduring Gypsy Rose, who is intriguing and tragic, the latter she will inevitably work to shake as we learn about the worst of the human condition. The saddest and scariest truth to this story is how society failed; systems set up to protect the vulnerable like Gypsy Rose were in themselves vulnerable, partly by frailty but primarily by unbelievable manipulation. One can only hope that Gypsy Rose’s story is an anomaly, one only acceptable in the fictional horror feeds of a Netflix queue.